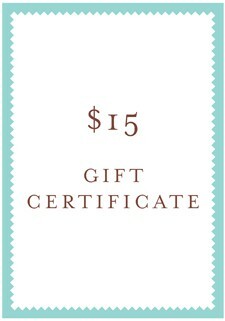 Give the gift of Oliver + S. This $15 gift certificate can be used for all items available on the Oliver + S website. 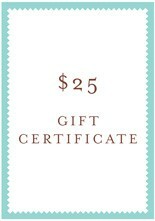 This gift certificate is good for $15 in the Shop section of oliverands.com and may be used towards both products and shipping. To redeem this certificate, the recipient must enter the gift certificate code when prompted during checkout. 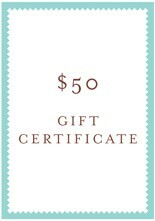 Please note that the website will not inform your recipient that you have purchased a gift certificate. Only you will receive a copy of the gift certificate code generated by your order. 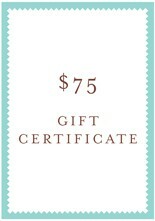 Once you receive the gift certificate code, you must share it with your recipient. To help you do that, we have created a fillable PDF gift certificate form. You can find this on the "certificate" tab of this page. Download the file, complete the form, and print or email the gift certificate. 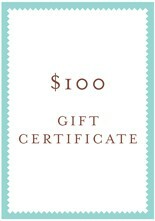 Would you like to give a paper gift certificate? We have you covered! By clicking on the image below, you will be able to download a PDF gift certificate into which you can type your recipient's name and the gift certificate code you receive on completion of your purchase. You can then print out a lovely gift certificate to give.